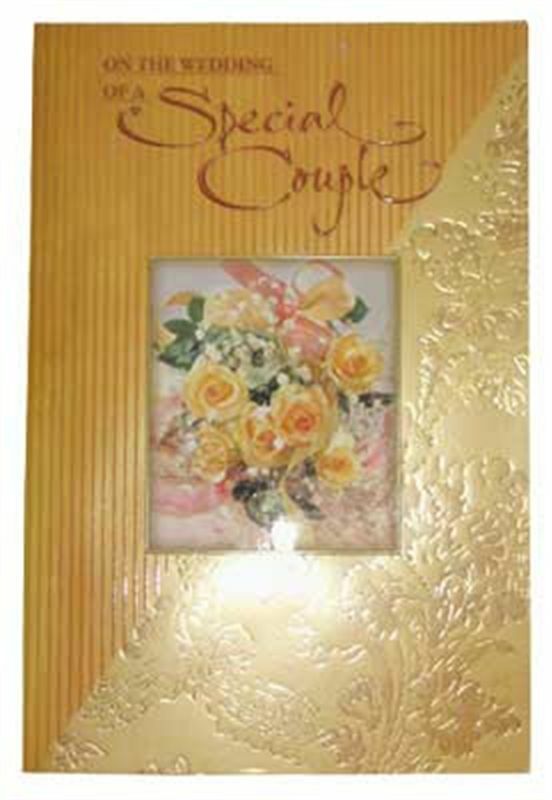 Front Message: On the wedding of a special couple. Inside Message: Find all the happiness in the world as you tie in the knot. Share between you the love, trust and understanding of a perfect Married life. These wedding wishes also bring you, good luck for the new life you are about to begin. Have a wonderful married life.